Then ... 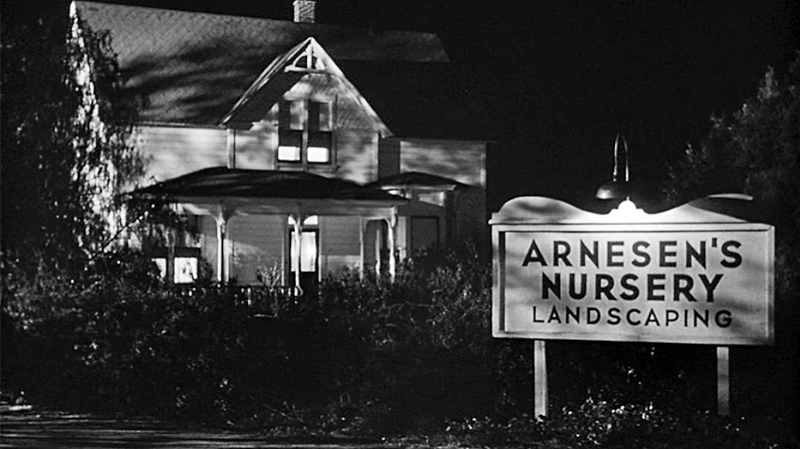 Determined to do something about their addiction, Joe and Kirsten move in with her father (Charles Bickford) and help him run his nursery business while staying on the wagon. ... in the mid 1970s... 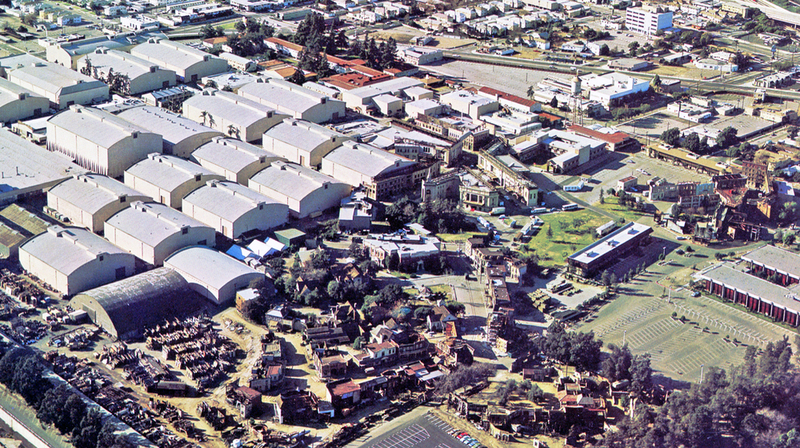 The storyline sets this location as 'down the peninsula in San Mateo' but Citysleuth thinks that all of the nursery scenes were filmed on the Warner Bros. studio back lot in Burbank, seen in this 1970s aerial photo. If any reader knows to the contrary, please contact him. After successfully staying sober for two months Joe brings home some hooch and Kirsten willingly helps him consume two bottles, one right after the other. By now he is completely looped - he goes to the greenhouse to find a third bottle he had stashed away in one of the planter pots. In an astonishing performance which would have been comical were it not so disturbing he forgets which pot it was in and ends up destroying the entire inventory of the greenhouse before finding it. He finished off that third bottle himself and ends up straitjacketed in a drying-out cell. He's really hit rock bottom now.